I’ve seen the tag on my son’s backpack a hundred times. His teacher put it there on the first day of Kindergarten. It reads “class of 2027”. But it wasn’t until the other day, as I picked up his bag from the hallway to move it to the mudroom, that it hit me. Hard. 2027 is going to be here before I know it. Today rings in 2015. But I will blink. And then I will be ringing in my youngest son’s graduation year. He’s only in Kindergarten. But life is moving that fast. Too fast. And while each stage of parenting seems to get more enjoyable, I often wish I could slow it down. This past year, like most, has flown by. And it's had its fair share of high highs and low lows. From an exciting book launch to a painful miscarriage, my heart has both swelled with gratitude and broken with pain. So I wasn’t surprised when the word “trust” began bouncing around in my brain when I was praying for direction and clarity for the new year. I want to know the will of God for my life so I can walk in it. I want to know how God would have me use the gifts He's given me to bring Him glory. More than anything, I want whatever will draw my heart closer to His. And in praying for all of that, I was given one word. So, like the last several years, I’m not making any new year’s resolutions. Not because research tells us only 8% of people keep their new year’s resolutions and I'm not big on setting myself up for failure and guilt, but because I want to enter the new year not thinking about what I am going to do but about what Jesus has already done for me. Remembering His grace. I want to enter the new year with renewed trust in the One who has already done everything to prove He is so very trustworthy. Do you have questions about what your priorities should be in 2015? Do you want to be more and do less? Do you have big decisions to make about your work or family life? Let's heed the wise instruction in Proverbs 3:5-6- and enter into 2015 trusting in the Lord's faithfulness and remembering His grace. PS- I'll be launching a new site next week with lots of fun things to help us remember His grace in 2015. 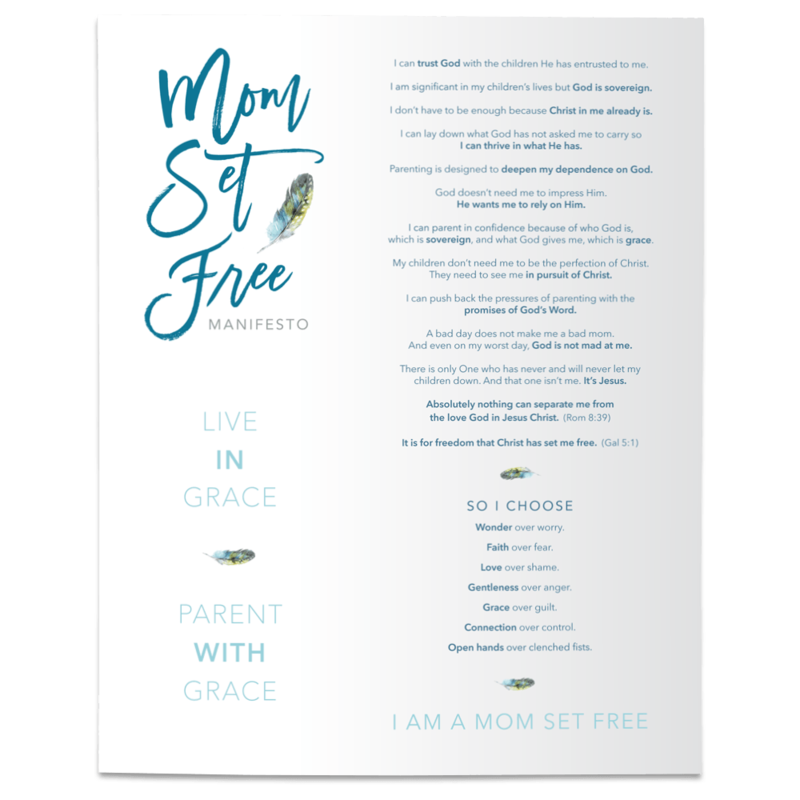 One of the things I am most excited about is the "STUDY GUIDE" for Parenting the Wholehearted Child will be available for free download on my new site. So, in the words of Jodie Berndt, "Moms, grab some girlfriends and read this book together. You’ll come away knowing that God isn’t just crazy about your kids; He’s crazy about you too!"